Imogen Knight is a classical ballet & modern dance teacher. Trained at Northern Ballet School in Manchester UK, she holds Diplomas in the Teaching of Dance, is a registered teacher with the Royal Academy of Dance and is an Associate of the Imperial Society of Teachers of Dance. 'Miss Imogen' continues to learn and to be curious about dance & education, attending courses & classes throughout the year as part of her Continuing Professional Development. 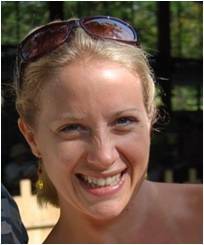 Prior to establishing Colours of Dance in Cambridge in 2010, Imogen set up and taught an extra-curricular Dance Programme at the Taipei European School, offering ballet and modern dance. The Dance Programme continues to grow with a new teacher. Imogen was also involved in various other dance-related activities for the International Community in Taipei, such as teaching the Scottish Country Dance classes for the annual St Andrew's Ball and to the children and staff at the SOS Children's Village located just outside Taipei. Imogen relocated to Taipei from Singapore, where she owned and ran a dance school. Her students in Singapore successfully passed RAD exams and took part in dance recitals & other performances. The school continues to flourish under its new owners. Miss Imogen's approach is to teach correct technique and educate students about the art and style of the dance type they are studying in an appropriately disciplined class, whilst ensuring that learning dance is an enjoyable hobby for anybody who likes to dance. At Colours of Dance, Miss Imogen has established a shool founded on the principles of openness, respect, inclusion and hard work, which reflect her personal ethos. In 2013, Imogen was thrilled to be asked to establish the role of Dance Coordinator for St Mary's School in Cambridge, working alongside staff to raise the profile of dance in the school as part of the successful education of the whole child. With the growth of Colours of Dance, Miss Imogen stepped back from this role in 2017, after assisting in the recruitment of her successor. 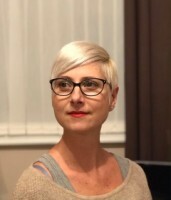 In the wider dance community, Imogen was a member of the RAD Regional Panel for the East of England and Midlands region, serving a maximum 6 year term and in 2016, she became a Trustee of the Royal Acedemy of Dance. I graduated at the H.D.A. in Budapest as a Classical Ballet Dancer. Dance and music captured me at a very young age. I started dancing and Rhythmic Gymnastics at 3 years of age but fell in love with dance. My early studies were at the Ballet and Art school of Gyor in Hungary. Here I played the lead of the Nutcracker when I was 10 years old. I continued my studies in Budapest at the world famous Ballet Academy, where I studied ballet, contemporary, modern ballroom, folk, latin and tap for 9 years. Out of 60 dancers only 7 girls graduated from this prestigious academy. The academy toured around Europe in National Theatres. I came to England about 2.5 years ago to improve my English, and also because I am interested in the English method and would like to further my teaching qualifications here, which I have now begun. I joined Colours of Dance in Septeber 2017 and have taken a duel role as administrator assisting Miss Imogen as well as dance teacher. I am loving getting to know all our young dancers, and also learning all about running a busy dance school. A Cambridgeshire girl, Charlotte trained at The Dance College where she gained her FDI in Tap Dance with the ISTD. 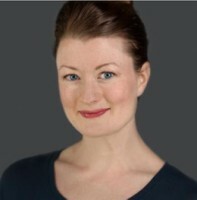 She also is an Associate of the Classical Ballet Faculty with NATD. 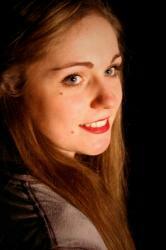 Charlotte is also currently performing as an arielist and is passionate about all forms of dance. At Colours of Dance Charlotte works both with adults and children in Ballet and Tap. 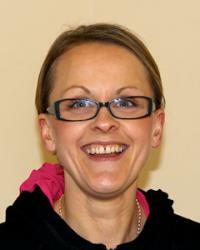 In 2014, she is launching a Jazz class for Colours of Dance in Gt Wilbraham. I trained at The Lane School of Dance in Hertfordshire from the age of 9, in Ballroom, Latin, Disco freestyle and Rock & Roll and more recently, Street Dance. I am an Associate of The Imperial Society of Teachers of Dance and have been teaching dance for 25 years. I have my own dance school, 'CAM Dance' and teach regular classes for children and adults in Ballroom and Latin, and Street Dance and Disco freestyle. Imogen and I were introduced in 2012 by a mutual friend as she was in the middle of renovating the building that became the Colours of Dance Studios. We sat on upturned buckets in the kitchen and realised we were kindred spirits, and so I have taught at Colours of Dance ever since. I currently teach Ballroom and Latin to children from age 5 upwards on Thursdays, and assist Miss Imogen in the leadership of Streetdance. As a passionate and dedicated dance practitioner I thrive off inspiring and engaging the younger generation through creative dance. My compassionate and caring nature combined with my enthusiasm for dance means I am a dynamic yet approachable teacher who uses a variety of teaching styles to target different ages and abilities. I aim to inspire children, transfering my knowledge and skills onto them as well as providing the opportunity for them to work creativly, exploring their imagination whilst learning. By using dance as an active way of learning I aim to develop childrens knowledge and understanding of a variety of subjects, enhancing their education, social and emotional development, physical health and welbeing. After studying GCSE and A-Level Dance I went on to study at Edge Hill University where I received a First Class BA Hons degree in Dance and Aerial Performance. I am an associate member of the NATD and I have studied RAD and NATD Ballet, and ISTD Tap to Intermediate level. I am currently extending my teaching qualifications with the ISTD. I enrolled in dance classes at a young age and quickly fell in love with Classical ballet, which led to a 16-year career as a professional dancer with Ballet Magnificat in Jackson Mississippi. I had the privilege of performing in over 15 original classical and contemporary works traveling extensively stateside and abroad. Trained in the Russian Vaganova Method I had the honour to assist and then teach classes of students from a young age whilst still performing. As is often the case for many professional dancers, I also taught master classes all over the world in addition to a daily studio setting. I really love challenging dancers in the fundamentals of classical ballet, whilst applying the artistry of expression within that medium! I have just reloacted to Cambridge and will be continuing my devlopment as a teacher by training in the RAD method and taking over some syllabus classes at Colours of Dance. I will also be assiting Miss Imogen with the more senior students, helping her to develop them to their full portential and perhaps prepare them for a career in dance. 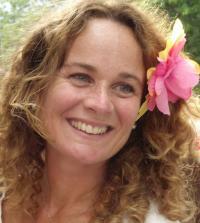 I am a Body Control Pilates instructor, and began teaching in 2002 in South Devon. I bring to Cambridge and Colours of Dance a wealth of experience following early training and a career in dance. My ongoing career development through the Body Control Pilates Education programme help ensure my classes are always fresh, safe and relevant to all members of the community; from the complete beginner with no previous exercise knowledge, to people who are already active and interested in sport and fitness, through to the older generation. I am qualified to Matwork Master Teacher (Advanced) level; trained to teach Beginner, through to Intermediate and Advanced matwork classes. I am a member of the Register of Exercise Professionals, Level 3 qualified. I started teaching ballet at 21, soon after completing the 8 year-long course for the graduation in the Vaganova Classical and Contemporary Ballet technique, in 1991 at the Accademia di Danza LYCEUM of Mara Fusco, in Naples. My teaching career starts in 1992, after the attendance of teaching methodology for Vaganova technique, at the Centro Regionale della Danza “Lyceum” di Mara Fusco, in Naples. I continue to improve my teaching skills year after year, attending classes and workshops with world-renowned ballet masters, like R. Nunez, M. Berkut, T. Weikel, E. Piperno, D. Wayne, along with teachers from London Contemporary School. In 1997–98 I took part in two seasons of a production of “Sleeping Beauty” with the “Balletto di Napoli” company. In 2002 I achieved the Master Graduation in Classical Italian Leterature at the University of Naples “Federico II”, with a master thesis about archeologic evidences of dance in ancient Greece. In 2004-2005 I attended a Master for Educational Dance, at the Mousiké Centre in Bologna (Italy). After the attendance of a number of classes and workshops on History of Dance and of Educational Dance at the “DAMS” in the University of Bologna (held by Eugenia Casini Ropa and Marion Gough), I began teaching Educational Dance both in Dance Schools and in Primary and Secondary schools. In 2012 I worked with two different Dance School: “Patty Schisa” and “La Ribalta” Scuola di Teatro Cinema e Danza and then in September 2013 I moved to Cambridge and started teaching classes at Colours of Dance. I have now re-trained as a teacher of Gyrotonics and am steadily building my own business. However, I can't leave the world of dance completely, so I am really pleased to continue teaching ballet to adults on Wednesday mornings and Monday evenings. I am a Body Control and ActiveIQ Level 3 qualified Pilates instructor, trained to the Intermediate Matwork level. I am also a qualified Exercise to Music teacher, and run a range of Pilates and aerobics classes in and around Cambridge. My guiding principle is that improving health and fitness should be open to all, whether or not you consider yourself to be strong, coordinated, or flexible. Exercise should be safe and fun, and give a sense of achievement, so that you can enjoy looking after yourself for life. Before moving into fitness instruction, I was a scientist, gaining a PhD in genetics, and going on to work as a conservation biologist for ten years. I apply my scientific thinking to my work, and my practice is based on an objective analysis of the latest research. As a Registered Exercise Professional, I am committed to continued professional development, and keep my skills up-to-date with regular courses and workshops. Lucy is studying for a MFA in Choreography at the University of Roehampton, and teaches contemporary dance, yoga and dance fitness all around Cambridge. She is trained in Graham, Limon and Cunningham technique and has a special interest in Brazilian funk and the dance style of 'passinho' after spending several months in Rio de Janeiro completing fieldwork for a PhD at the University of Cambridge. Recent choreographic work includes 'Treatise', 'Kepler's Trial' and '2 sides of the moon' (see http://lucymcmahon.wixsite.com/home/2-sides-of-the-moon for more details). She is currently working on a new piece for February 2018 that explores people's experiences of the justice system through dance and spoken word and is always interested to hear new ideas to expand the visibility and power of dance in Cambridge. I studied as a classical ballet dancer obtaining the Vaganova Teaching Degree at the Kontaxaki Professional Ballet School of Athens, being simultaneously also a member of the school’s professional ballet company. In no time, I found myself dancing for the Athens Deeree College Professional Ballet Company, where I participated in several significant productions. Soon after, I became a ballet teacher at the Olia Stefanidou Dance School, one of the best dance schools in Athens tutoring the Vaganova Method to all levels. I then secured a position at the Danceway Ballet School in Athens, where I introduced the Repertoire of Classical Variations to Masterclass level students. Before long, I had become the Head of the Ballet Department at the Kessariani Cultural Centre, with a vast range of responsibilities, stretching between teaching at various levels and managing the department. My love and passion for dancing has led me to even more creative paths regarding ballet, as I am one of the co-founders and the Head Designer of the Basilica Dancewear Company in Cambridge.